Human landscapes are ever-changing. In 2017, the most remarkable building designs hinted at a newfound peaceful relationship with nature and proposed solutions for overcrowded mega cities. The way we shape our homes and the places we live in play a big role in defining our view of the world. As smart devices and technologies inch their way into the structures we inhabit, the future of architecture is slowly revealed. But, while some conceptual architecture resembles a collection of snaps from a future that might never be, innovative design is truly blossoming, with realistic models that may well become tomorrow’s present. This upside-down skyscraper floats above the Earth — a potentially useful tool in an overpopulated future — tethered to an asteroid orbiting the planet. 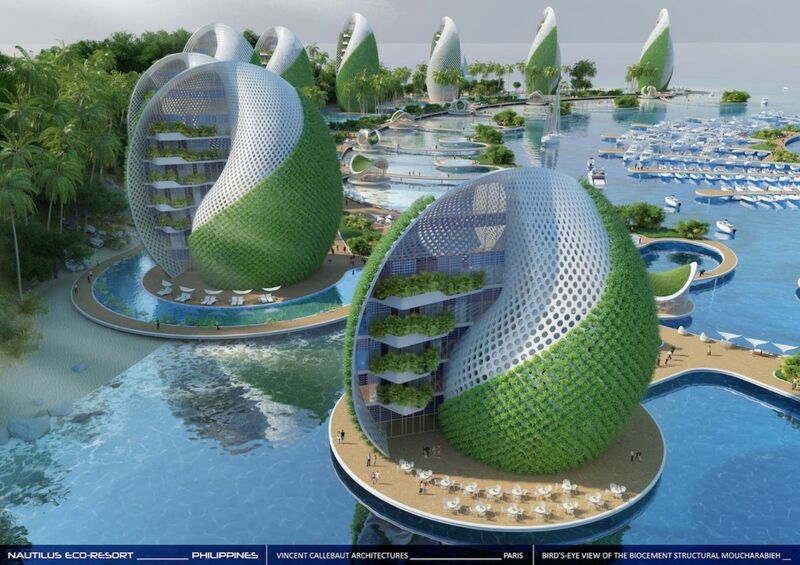 The Nautilus Eco-Resort design’s shape is inspired by the Fibonacci spiral. It employs hydroponic growth technologies and other tools that incorporate plant growth into architecture. 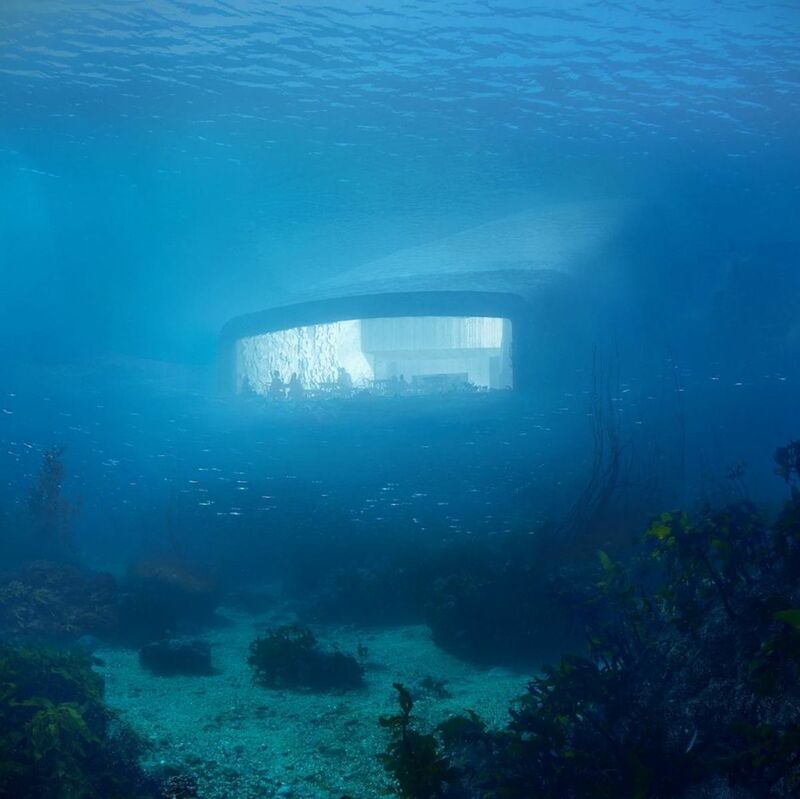 Off the coast of Norway, there is a proposed undersea restaurant. The restaurant, will also host a research center for marine life. Its designers say it is meant as a tribute to the Norwegian coast and to the wild fauna of the sea and to the rocky coastline of Norway’s southern tip. Construction is slated to begin as early as 2018. 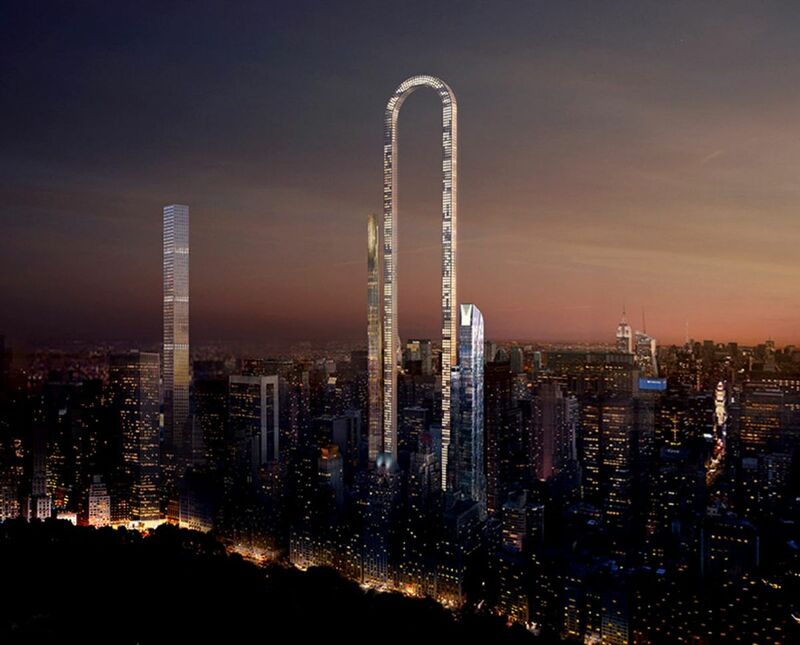 Designed by Oiio, “The Big Bend” is an arch-shaped skyscraper that was imagined with New York City’s diminishing available space in mind. So, while the foundation square footage of the building is fairly small, the building can hold an incredible number of people without getting too tall and becoming unstable. Shipping container homes evolved in design and rose in popularity in 2017. 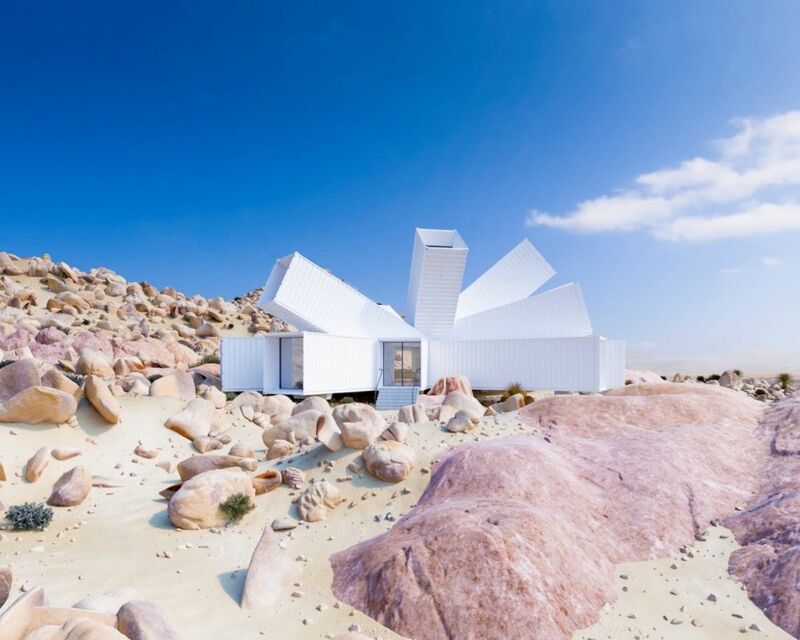 The idea of minimalist, transportable homes has flourished into a host of novel and innovative designs like the one seen below, which is set to be constructed in 2018 in southern California. The home is elevated so floods won’t damage it, and because its elements point in different directions the rooms will never lack of natural light. 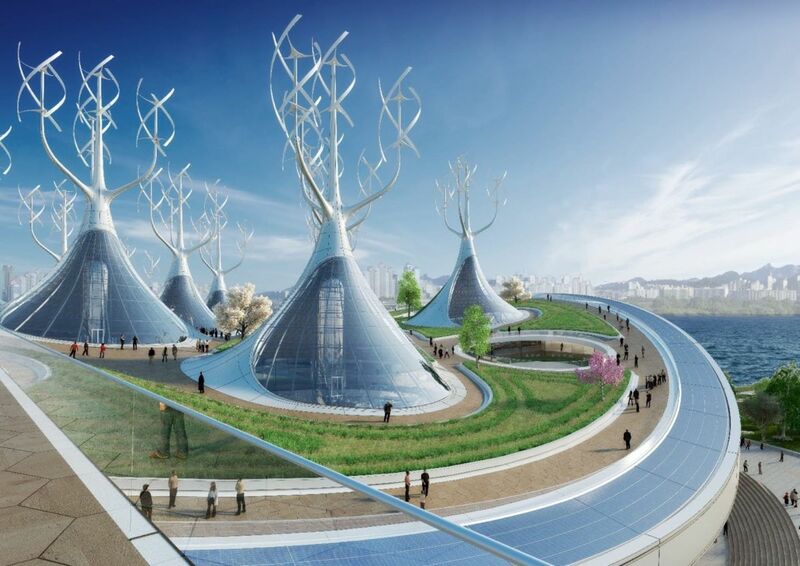 This proposed design for a ferry terminal in Seoul represents combines innovative architecture with green energy solutions. Designed to look like manta rays, these structures are able to produce all of the energy that they require from solar and wind sources. 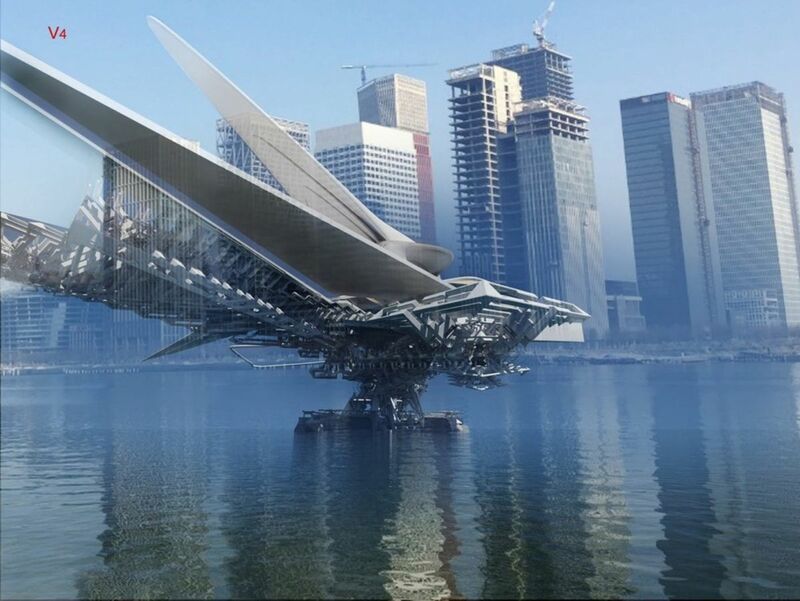 What looks like a humanoid robot from Gundam Wing is actually a floating bridge. This experimental design from Margot Krasojević, as commissioned by the Ordos government in Mongolia, can fold up and even move location. 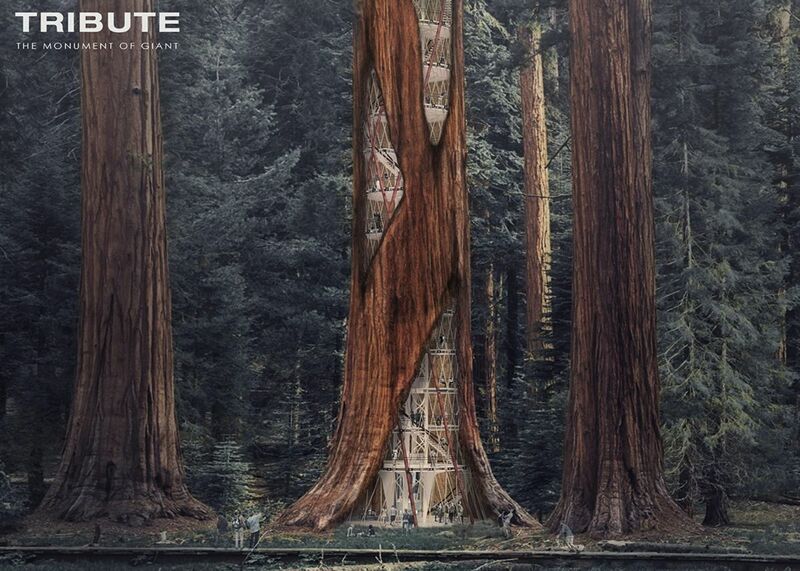 A collective of South Korean designers created “The Giant Sequoia Skyscraper” for the eVolo skyscraper concept competition. This design involves building skyscrapers inside of massive, existing trees, a novel approach to the peaceful coexistence between humans and nature. Not all of these designs will become reality in the near future. But science has often taught us that what we can only imagine today may actually happen tomorrow. And through existing techniques such as hydroponic technologies, renewable resources, and advanced materials, building these structures could be both possible and positive for planet Earth.